Are you looking for fresh ideas and unique packaging products that will increase your sales this Easter? 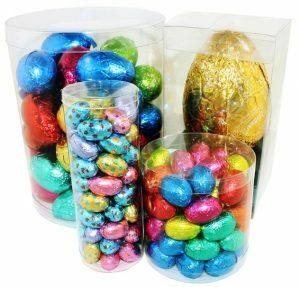 For advice on the best way to package your Easter products, Clear-pak Australia’s innovative ideas and solutions will help you promote your products. We will take you through concept and prototype to the development, manufacture and delivery of a package which gives your product a visible competitive edge. Easter gifts require packaging that differentiates from both competitors and everyday product lines. Clear packaging provides this distinction and also fulfills other requirements such as product protection, food safety, cost effectiveness and easy packing. Creative and cost effective packaging solutions for your Easter packaging requirements.